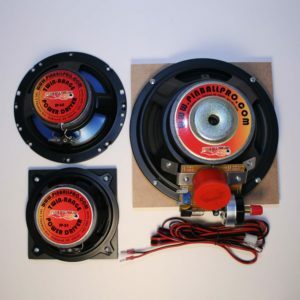 Click to View the Premium High Energy Subwoofer! 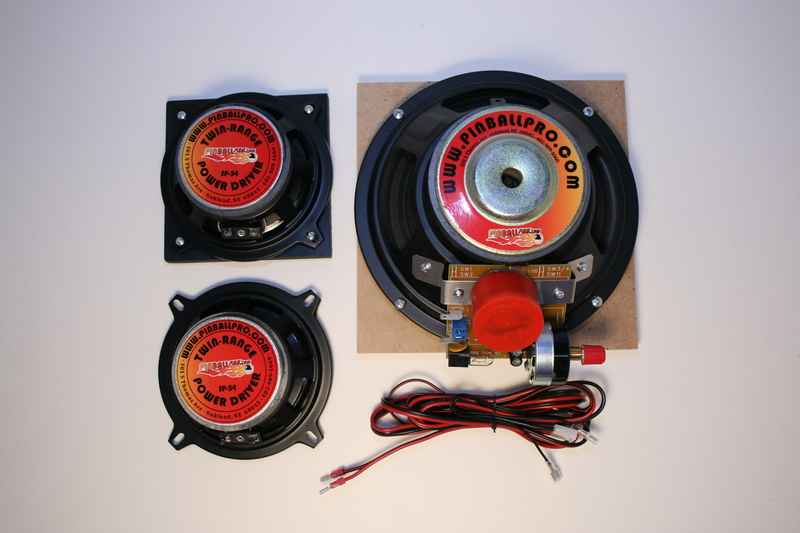 Full speaker upgrade kit for Williams WPC-89 Pinball Machines. 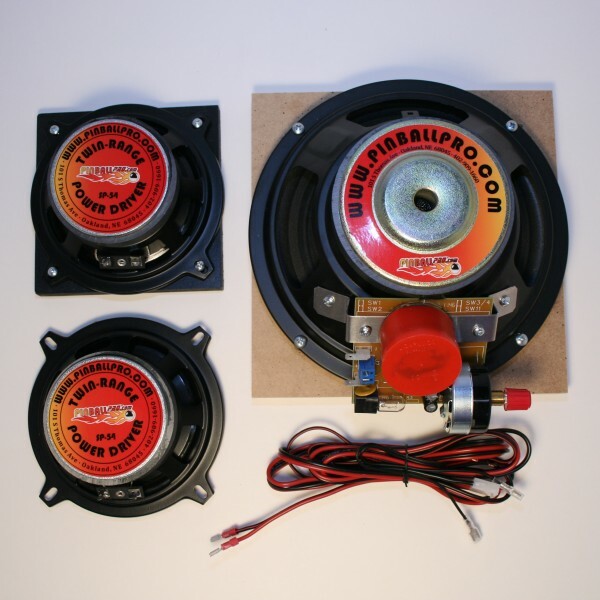 This sub-woofer extends bass reproduction to 32 Hz. for unbelievable sound. No permanent modification is required to the pinball machine. The special design of the subwoofer network routes the low frequencies to the subwoofer, and the full spectrum of sound to the backbox speakers. The Network includes volume control for the back box speaker level and provides for much greater bass output and quality sound. 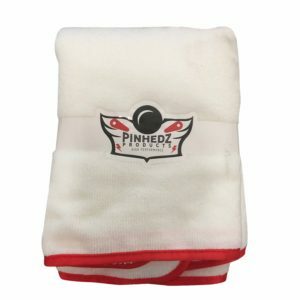 The included wiring harness greatly simplifies installation and requires no soldering. 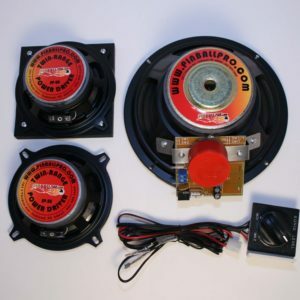 This kit includes an 8-inch subwoofer with attached network, a cabinet adapter plate, one 5¼-inch SP-5 speaker, one 5¼-inch-inch SP-5 speaker with an adapter and a wiring harness. For machines manufactured from 1989 through 09/1993 and having the sound board with one speaker driver output.